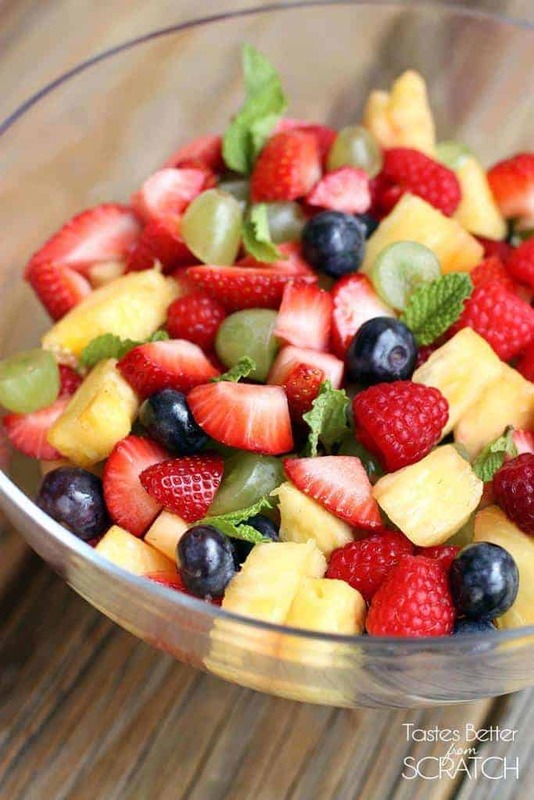 This Fresh fruit salad is made with strawberries, pineapple, blueberries, and other fresh fruit along with hints of orange and mint. If there’s anything my mom would want included in her Mother’s Day meal it would be a large bowl of fresh fruit. And not just any bowl of fresh fruit. One that has hints of fresh orange and mint. 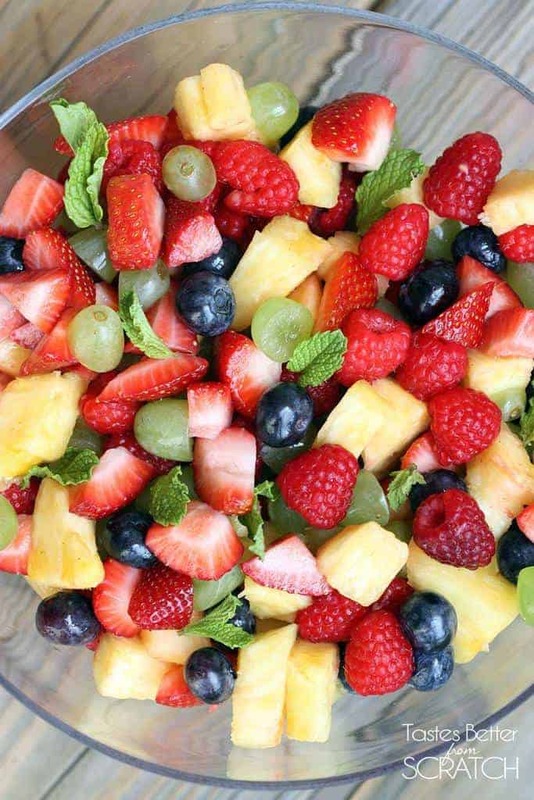 This fruit salad is amazing, and takes seconds to throw together. Everyone loves fruit, and the special additions make this side dish a crowd pleaser! Combine all of the fruit in a large bowl--I add the raspberries at the very end so they don't get smashed. Add some chopped fresh mint leaves, to taste. Zest some of the orange over the bowl and squeeze a little fresh orange juice over the top (don't add to much because you don't want a lot of extra liquid). To make this in advance: don't add the orange juice until you're ready to serve. Leave everything covered, in the fridge). I would have never thought to add the mint! That looks amazing and healthy! yum this looks so beautiful! I would love to serve this to mom on Mothers Day! 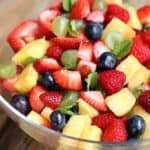 This is a fantastic Fruit Salad recipe. I would love the feature this in our website Green Thickies. I won’t be posting the actual recipe, but only one image from here and a small quote and link back to the recipe page. All credits given to you. Will that be okay with you?